Chick-fil-A disputed it supports anti-LGBT causes, saying, "To suggest our giving was done to support a political or non-inclusive agenda is inaccurate and misleading." San Antonio Councilman Roberto Treviño said the council's action affirms the city's efforts to "become a champion of equality and inclusion." She said the company invites the city council to "a thoughtful dialogue" on the issue and to visit local stores. 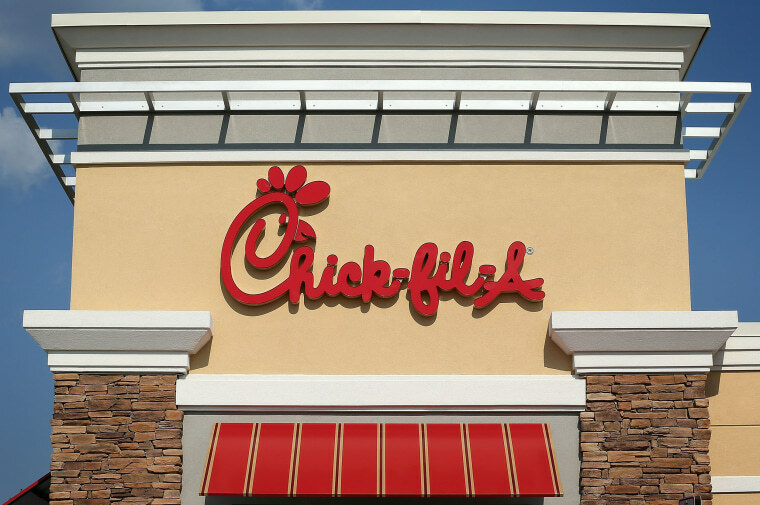 "We hope they will experience for themselves that Chick-fil-A embraces all people, regardless of race, gender, ethnicity, sexual orientation or gender identity," the company spokeswoman said. In regard to the Think Progress report, the spokeswoman told NBC News that Chick-fil-A has been transparent on its website about its youth and education-focused giving. "To suggest our giving was done to support a political or non-inclusive agenda is inaccurate and misleading," she said.